– Contains a synergistic blend of 4 organic acids that give outstanding scale removal. – Safe to use on aluminium, brass and stainless steel. – When diluted the ingredients are readily biodegradable and will break down in sewers or septic systems. – Can also be used in dishwashers due to low-foaming formula. – Descales 9X more effectively than white vinegar and has practically no odour. 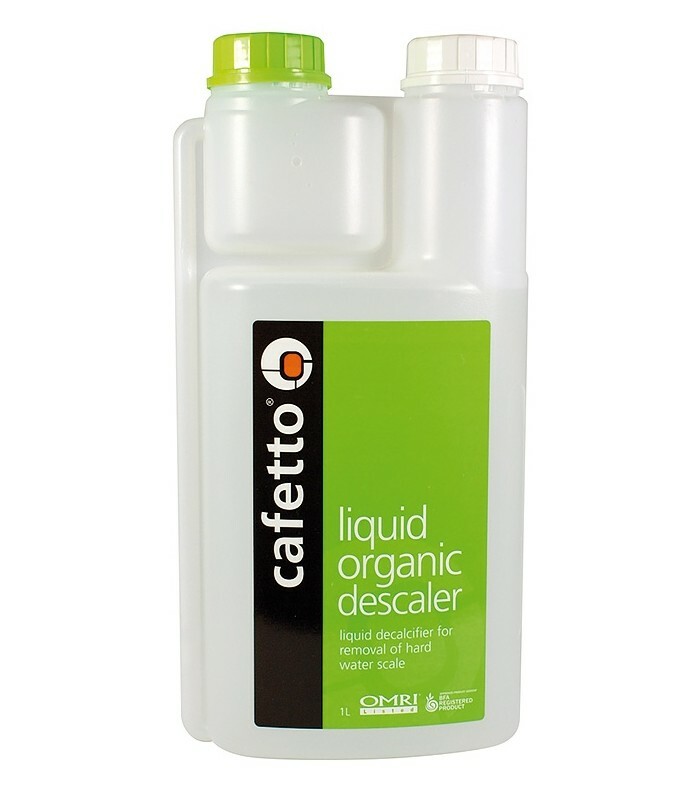 – Liquid Organic Descaler is listed by OMRI and BFA and is suitable for use in organic systems. It is also listed by NSF as being suitable for use in food processing areas. Descaling espresso machine boilers, coffee brewing equipment and domestic thermoblock espresso machines. Can also be used in dishwashers, kettles, urns and bain maries. Follow the machine manufacturer’s instructions to descale (decalcify or delime) the espresso machine or coffee brewer. Always rinse the machine at least twice with fresh water after decalcifying and before re-filling and reusing the machine.